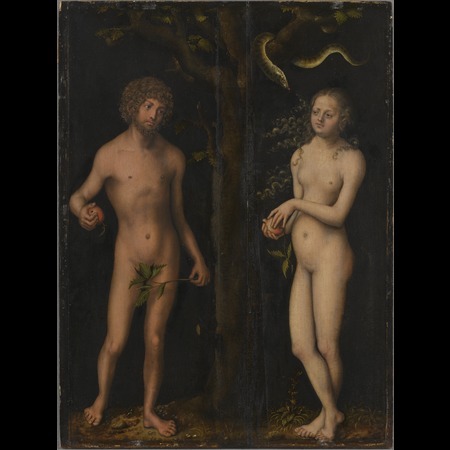 The painting depicts Adam and Eve against a dark background. 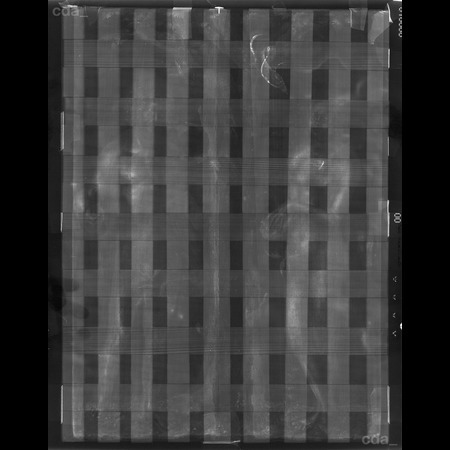 They each hold an apple in their right hand and are facing each other. The serpent coils around the branches of a tree, which stands between them. 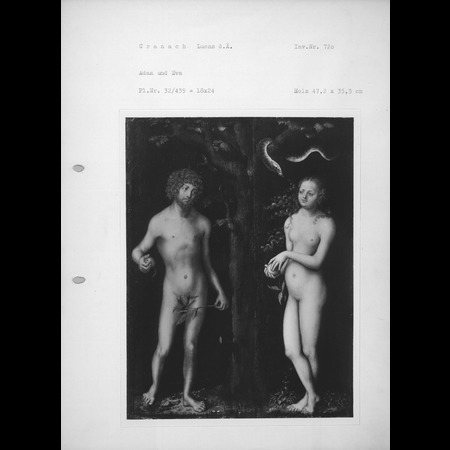 This is the earliest depiction of Adam and Eve mentioned in the Friedländer, Rosenberg catalogue. The position of Adam's foot is the same as that in the engraving by Dürer from 1504, but Jacopo de Barbari's engraving of 'Apollo and Diana' could also have been the inspiration for this motif. 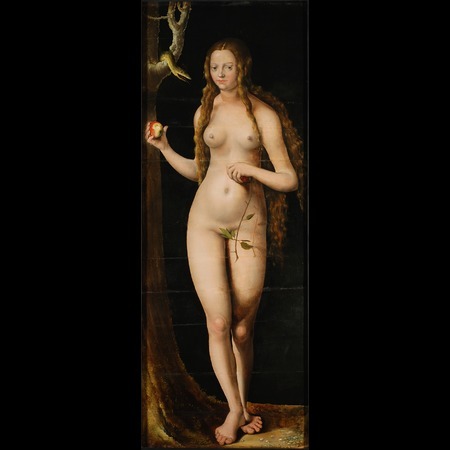 The panel originally consisted of two parts, which according to the exhibition catalogue Munich 2011 were the separated outer wing panels of an altarpiece. At some stage they were attached together either side of a narrow central batten. 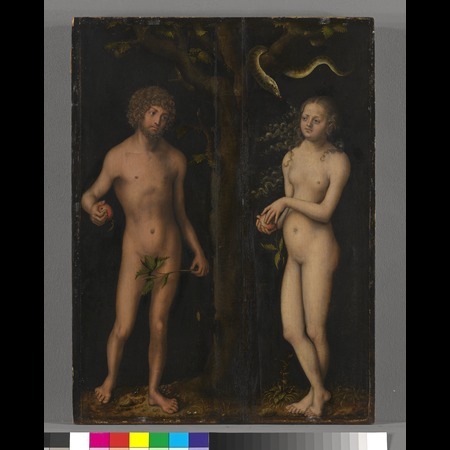 It is also posible, that both figures were originally painted on separate panels as is the case with the slightly earlier version of Adam and Eve in Musée des Beaux Arts et d´Archeologie Besancon. The tree depicted in the centre suggests this.